While the nightclub business is dynamic and difficult to master, the potential success and earnings are paramount. With so many opportunities for growth, the following advice for your clients can help to promote success in their establishments and decrease NY Nightclub Liability. Nightclub Bar & Media Group’s annual Nightclub & Bar Top 100 List announced the astounding figures of the industry when it revealed the industry earned $1.36 billion in revenue in 2014 alone. The top spots were held by world renowned clubs in Las Vegas, New York, and Miami. However, the palatial success of these nightclubs are all due, in part, to the following techniques. Hold Back Supply- Experts recommend being open as few nights a week as possible to promote exclusivity. Concentrating efforts into two or three nights proves to be much more lucrative than operating seven nights a week. It’s OK to Say No- Your clients’ dress code should be enforced while allowing a comparable ratio of men and women. Another factor to consider is requiring larger parties to show up at a certain time to improve the overall experience. If the standards are not met with your clientele, it is perfectly acceptable to not allow them inside. Train Staff- Excellent customer service and cleanliness are essential to any hospitality business. Matt Bendik, co-owner of multiple upscale nightclubs, stated “You have to have amazing service and staff and there are no shortcuts to that. You need to train your staff weeks and even months before you open. You need to hire the best, most gregarious people and you need to give them the tools to do the job right.” As this is a competitive and saturated industry, providing top notch service is only going to promote your clients’ success and reputation. Know your Concept- Identifying what style the club is going to be and sticking with that concept can help minimize loss of business from local competitors. Unique décor, music choice, and club features help to maintain the integrity of the nightclub. 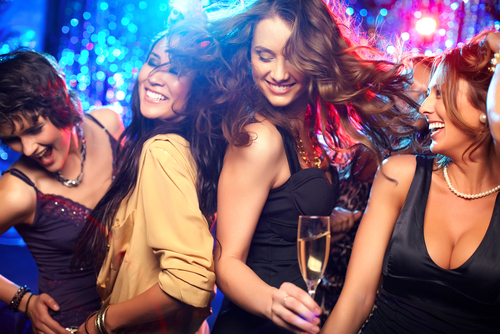 At RMS Hospitality Group, we are experts in protecting against the unique risks involved with operating nightclubs and bars. We strive to provide sufficient coverage and quality service from application to claims. For more information on how to secure your business, contact us today at (888) 359-8390.